When talking about Malaysian football to older folk, there’s often is a common trend. No matter what the current generation has accomplished, there’s a nostalgic feeling that the national team was much better in the past. Personally, I do find the comparison to be a little frivolous. That said, the Malayan Tigers’ golden age was undoubtedly back in the 1960s and 70s. Not only were they the most dominant team in Southeast Asia, even on the continental scale, Malaysia were regarded as one of the most revered sides of all. 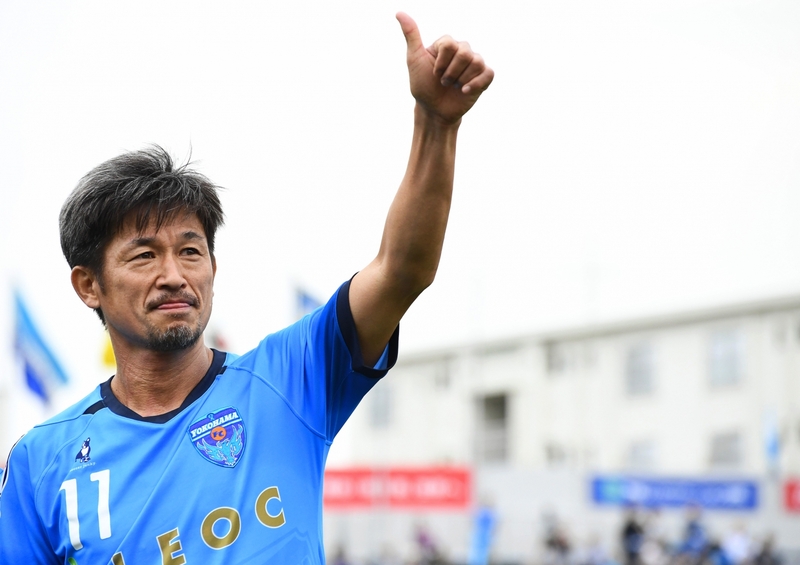 Several players from this era were among the most respected names in Asia – but there was one captivating individual who caught my attention, prompting me years later to write this article. We are living in the age of the Marvel comic craze thanks to the recent Avengers mania, so anyone who’s nicknamed “Spiderman” surely deserves some attention. The name Arumugam is a synonym in Malaysia when it comes to the term “legend”. Whether holding a mic or guarding the goal, an entire nation knows his name, and with reason. Arumugam Rengasamy was born in Port Klang, around 20 minutes from my home, in January 1953. When I asked some older football fans from the area about him, they all had a story to share, many going misty-eyed about his brilliance between the sticks and his golden gloves. The first time the name came to my attention was back in 1988. He was all over the news. I was only eight so at first I couldn’t tell what the fuss was all about. So I asked my uncle; he told that Arumugam had been involved in a car crash and apparently died on the spot. Like Arumugam, my uncle also played in goal during his younger years. I could understand the affection he had towards him. Above all else, I could tell that it was a poignant moment for everyone in the house. Not only had the Indian community lost a genuine role model; the nation had lost an icon. Arumugam was known for his hard-work and no-nonsense attitude on the field. During training, his intensity and commitment won the respect and trust of his coaches from an early age. That sort of attentiveness, with unbreakable concentration, would come to the fore on the pitch, making crucial saves in games he had little to do. What the military of the time would’ve given to have him guarding their bunkers. I recently took a drive to Port Klang to visit the place where it all began for Arumugam. The local pitch, which last year was proposed to be renamed in his honour, is situated in a quiet area amid a backdrop of industry, with a solitary stand and plenty of areas to stand. I closed my eyes and imagined what was it like more than 40 years ago. People would’ve flocked to the side of the pitch to catch a local game. It’s been said the domestic club game back then used to attracts thousands of fans. They were the first to bear witness to the artistry of Arumugam between the sticks. It didn’t take long for the authorities to learn about the gem from Port Klang whose intensity would often give him the upper hand in duels with strikers. In 1971, he was selected to represent the Selangor youth side in the then prestigious Burnley Cup. A year later, Arumugam was promoted to the senior side. The timing couldn’t have been better for Selangor, who were looking for a replacement for their ageing goalkeeper Lim Fung Kee. 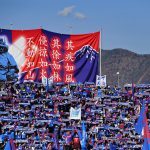 Today, Johor Darul Ta’zim is regarded as the best club in the country, if not the region, for what it does both on and off the pitch. In those days, that honour was bestowed on Selangor FA. Until then, and even in the years that followed, they were the most successful team in Malaysia. As the state was enjoying an economic boom in the post-independent era, Selangor had the wealth to attract the best names in the country. Indeed, the backbone of the national team was drawn from those who played for Selangor. The defence was marshalled by Santokh Singh and Soh Chin Aun, while Reduan Abdullah was the consummate midfield dynamo. 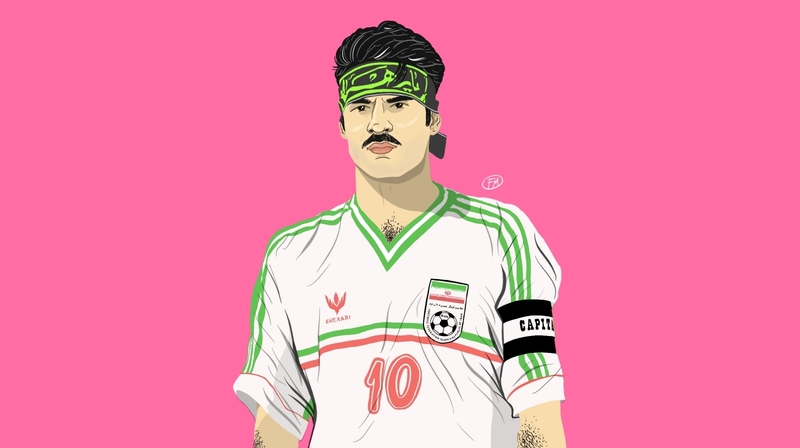 Leading the attack was the nation’s favourite footballing son, the late, great Mokhtar Dahari. Arumugam and Selangor were a match made in heaven. His character and attitude endeared him to both the fans and his teammates, instantly winning respect. His Indian background ensured he fitted easily into a Selangor side that was the go-to team in a country that prided itself on being multi-cultural. Both Reduan and Mokhtar were Malays while Santokh and Chin Aun were of Punjabi and Chinese descent, and each and every player in the squad brought a different skill set to the team. This particular combination, of players from varying backgrounds perfectly complementing each other, resulted in one of the most potent teams in the region’s history. Arumugam didn’t necessarily have the look of a rugged footballer. He had a slim, lean body, which was once said to have been on the road to long-distance running. What made his physique unique were his long arms, a key attribute to his game, allowing him to reach balls many other goalkeepers would’ve struggled to. Crosses, well-placed shots and penalties; they were all in a day’s work for Arumugam. His agility and nimble footwork made it difficult for attackers to decide their next move inside the six-yard box, and Arumugam would stay on his feet for as long as possible, trusting his reflexes and speed of movement when faced with a threat. Alongside his ability at stopping the ball, Arumugam was an expert communicator, heard barking instructions throughout the 90 minutes to organise his defence and protect his goal. To him, goalkeeping was about far more than just the ball. Indeed, those on the end of his Roy Keane-style dressings down were only ever appreciative of his words. He commanded complete respect. Besides Arumugam, the 1970s were a time when Malaysia produce its fair share of outstanding goalkeepers, from Lim Fung Kee to Peter Rajah. But Selangor’s number one brought a different dimension to goalkeeping, which was unprecedented in Malaysian football. Looking back, at times he was like a Malaysian Hugo Gatti, this in an era when global football coverage was limited at best. Legendary commentator Hasbullah Awang once said that Arumugam would foray upfield at times, intent on joining the attack, such was his quality with the ball at his feet. Often perched well outside his area, sadly I couldn’t find any footage to back up this claim, though Arumugam believed in goalkeeper’s dictating play, some three decades before Pep Guardiola made it popular in England. Arumugam and his band of Selangor brothers were the darlings of Malaysian football. In his 16-year span with the club, he won the Malaysia Cup (then the most prestigious trophy in the country) a staggering eight times. They became known as the Red Giants due to their success in the domestic game – and their admiration wasn’t just restricted to Malaysia. Selangor provided the backbone of the Malaysia national team’s golden era. The relationship between two is akin to the way Ajax littered the great Dutch sides of the 1970s with talent. 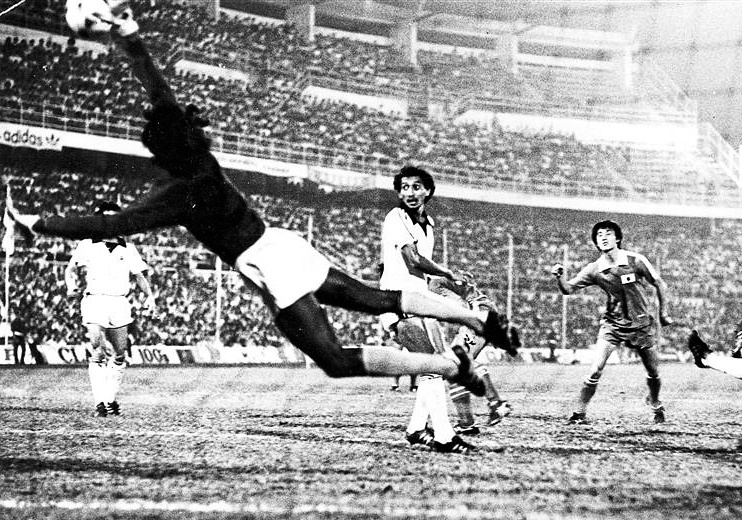 After making his international debut in a World Cup qualifier against South Korea in 1973, Arumugam kept the gloves for most of his career. He played a pivotal role in helping the nation win bronze at the 1974 Asian Games in Tehran; to this day considered Malaysia’s greatest footballing achievement. Two years later, he helped Malaysia qualify for their first ever Asian Cup in Iran. 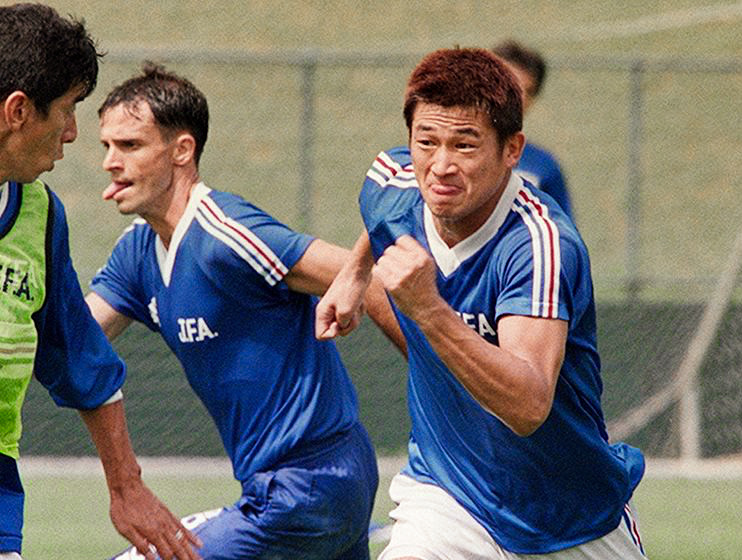 In the 1979 Southeast Asian Games, he kept goal as the national team clinched their first gold medal in 16 years on home soil. He was part of the squad that retained the title two years later in Jakarta. Perhaps the biggest moment in his career as the national team goalkeeper came in 1980. Arumugam was a quintessential figure for Malaysia during Olympic qualification. In a playoff final held in Kuala Lumpur, they beat South Korea 2-1 to earn their spot at the Moscow Games. In Asia, the Olympics back then were perceived as the second most important tournament after the World Cup. To play at the highest level would’ve been a dream come true for Arumugam and the class of 1980. Unfortunately, Cold War politics prevailed, which denied him the opportunity to play at the summer Games. Malaysia took the political decision to withdraw from the Games as part of a US-led boycott following the Soviet Union’s invasion of Afghanistan, a decision which left Arumugam frustrated and disappointed. The story of this 1980 team was recently immortalised on the big screen. The movie Ola Bola became an instant hit at the box office. Not only did it bring back fond memories for many, young kids were given an important lesson from the past: they began to rediscover the name Arumugam. After reading so much about Spiderman, you wonder how why Arumugam never took his career abroad, though few knew much about Malaysian football at the time. 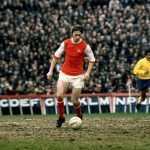 On one famous occasion, however, he did make the likes of Brian Kidd, Alan Ball and Liam Brady suffer when a Malaysia select XI beat Arsenal 2-0 in 1975. In another game, he forced Diego Maradona to play at his very best to score against his side when Boca Juniors came to town for a friendly in 1981. After a career that spanned a decade, Arumugam was acclaimed as the unofficial best goalkeeper in Asia. He was given the gloves in a stellar cast that consisted of the continent’s best in 1982 as part of an Asia XI. Their opponents were a brilliant Brazil side featuring Éder and Toninho Cerezo in an exhibition game. But it wasn’t all glory and smiles. Arumugam had to weather several storms in his career. When he was dropped in favour of another goalkeeper, he proved his worth in training and won his place back. When he was accused of match-fixing in 1986, he fought back to prove his innocence. Sadly, by then it was obvious that his career was on the wane. He still had some unfinished business, though: to lift a trophy as team captain. That same year he was given the privilege by Selangor to command the ship against Johor in the Malaysia Cup final. The Red Giants smashed six goals as Arumugam collected his last winners medal. During his playing career, Arumugam had meticulously planned for life off the pitch. As part of an effort to give something back to a game from which he had taken so much, he formed Starbrite Sports Club in 1983. The aim was to open the door for youngsters around the Port Klang area to play competitive football. The club is still in existence today, though it hasn’t produced the kind of players capable of emulating Spiderman. Its been three decades since that fateful day when I first came to know of Arumugam Rengasamy, who was only 35 when he died. It’s sad that he isn’t alive to pass down his knowledge and talent to a new generation of budding footballers in a nation where the sport is growing at a rapid rate. My hope is that this feature will keep his legacy alive, if only for a while. After all, legends never really die.